I try to live without regrets, but I often wonder how different my path would’ve been if I followed all of the important “life lessons” taught to me. Although I absorbed quite a bit as a child (and teenager), here is one lesson I would pay more attention to if given a round two. Personal Trainer Wisdom: As I mention this lesson, I now fear that my neighbors will think Ill chase them down the block for a hug. Why not? Everyone deserves a hug! I’m not sure every stranger would welcome my open arms. A hug isn’t always welcomed, and I’m mindful of that. Nevertheless, I know that the root of being is interaction and hugging is an emotional manifestation of this philosophy. Although I’ve always realized the importance of physical interaction, I’ve been guilty of isolating myself at times. Call it insecurity or a simple way of protecting myself. It minimized my intimacy with people in all types of relationships-friendships, romantic relationships, family relationships, etc. Should I blame myself? My family didn’t hug much (although the love was apparent) and I didn’t see many examples of this affection growing up (known by me as “Eastern European Love”: a stoic emotional exhibit of love but present in its own way). Words of love are enough, right? Not sure anymore. Something is missing: Vulnerability. The alternative to hugging, lying on our backs like a dog, isn’t the socially acceptable exhibit of this intention for humans. Hugs are the next best thing. It is a statement of: “I trust you,” “I’m letting down my guard,” and “I accept you”….and who doesn’t want that love? My verbal language of love was useful but not complete for many years. My new hugs truly represent a new level of comfort with the people I love or don’t know very much, and my life is enriched as a result. I'm not a perfect hugger, and I still draw the line on hugs with complete strangers, people who don't show signs that they're interested in hugs, or hugs extending beyond a minute (and, yes, I did just say that). It's a work in progress, and I look forward to reaching new (and longer) hugging heights in the next decade! Photo Credit: Indy 100 .com: Could hugging a person be the life lesson most of us have overlooked? In a healthy diet, you most likely need to steer away from your favorite foods including pasta and ice cream. Is there a way to still indulge without feeling guilty? You bet! Here are my top four substitutes that will convince you that they’re the real thing! You no longer have to stare at pictures of ice cream. Ingredients: Coconut Milk (Water, Coconut, Guar Gum), Agave Syrup, Coconut Cream, Dried Coconut, Coconut Extract, Vanilla Extract. Personal Trainer Wisdom: Why I like it: It’s a non-dairy product with all of its fat coming from coconuts. While you still need to be mindful of your serving size since it has 22g of fat and 16g of sugar, it will satisfy your craving for a milk-based product (which is more inflammatory). Alternative to the alternative: Any all-fruit sorbet with no added sugar. Ingredients: Distilled Vinegar, Aged Cayenne Red Peppers, Salt, Water, Canola Oil, Paprika, Xanthan Gum, Natural Butter Type Flavor And Garlic Powder. Bringing pasta back to the healthy table! Ingredients: Chickpeas, Tapioca, Pea Protein, Xanthan Gum. Personal Trainer Wisdom: No way around it: All pasta is highly processed and loses some of its nutritional value through the heating process. The Banza pasta noodles give you a higher dose of the valuable fiber and protein (14g) than the white AND wheat noodle options. It also contains only four ingredients and avoids toxic additives and preservatives in other boxed foods. Cooking tip: Boil the noodles until they’re al dente and then quickly rinse them under cold water to stop the cooking process (otherwise they’ll soften too much). Ingredients: Water, Pea Protein Isolate, Refined Coconut Oil, Sunflower Oil, Natural Flavor, Contains 2% or less of: Rice Protein, Faba Bean Protein, Potato Starch, Salt, Fruit Juice (For Color), Vegetable Juice (For Color), Apple Fiber, Methylcellulose, Citrus Extract (To Protect Quality), Calcium Alginate Casing. Here is a simple progression to weight loss. You can start at Phase 1 and add the next phase (each in 1-2 week increments) until you reach your goal or separately test each phase until you determine what affects your weight the most. Although I prefer a primary focus on nutrient-dense options, a caloric deficit seems to be the most desired first step for many clients. No matter how you approach this progression, try to seek a sustainable combination of efforts based on your needs (and it doesn’t need to be perfect). Please note that I haven’t mentioned anything about fitness. Based on fourteen years of experience, I haven’t found a positive correlation between sustainable weight loss and killing yourself in the gym (unfortunately and fortunately). Many factors affect the caloric exchange between nutrition and fitness-making it very difficult to determine real numbers (e.g., the machine claims you burned 600 calories when you only burned 325 calories for reasons related to YOUR body). Although the answer to weight loss is simple, it doesn't mean it's easy. I hope this structured approach will minimize any frustration. Good luck! Be diet strong! Phase 1: Cut your total caloric amount by 25% without changing the substance (the type of foods that you’re eating). Personal Trainer Wisdom: Unfortunately, a caloric deficit isn’t scientifically enough to lose weight….but it can help initially if you’re overconsuming. Your body could only process so much food at once, and the rest is converted into fats, triglycerides, and more. Sidenote: You’re only creating a deficit based on your current habits. Most people tend to consume far more calories necessary (1300-1700) for a sedentary lifestyle. By cutting 25% of your current calorie load, you are simply getting closer to this mark. Phase 2: Cut down your caloric intake until you reach a range of 1300-1700 calories per day. Phase 3: Cut down your caloric intake until you reach a range of 1300-1700 calories without exceeding 300-500 calories per meal. Phase 4: Eat 3-4 meals per day with 3-5 hours in between each meal. Personal Trainer Wisdom: Timing is everything, and it usually takes 3-5 for proper digestion and absorption. You want to avoid eating more food than your body can process at a given time (you know what happens then). At the same time, you want to limit any nutritional deficiency (who knows how your body will compensate). Do you ever feel stuffed or starved? Do you typically take more or less than 3-5 hours in-between meals? Phase 5: Eat 3-4 meals at the same time each day. Personal Trainer Wisdom: Your body wants to be an efficient machine that operates on autopilot. Most of the time it depends on its biological clock - a blend of natural and reinforced forces. With this being said, you can train your body to efficiently release a flood of hormones to help you utilize the fuel you feed it at the same times each day. You already did this in grade school when you ate lunch at 11:37 every day and still felt the hunger pangs at the same time over your summer break. The principle also applies to your efficient recovery while you sleep each night. Your body will naturally wake you slowly over the course of 3 hours prior to your waking time. Going to bed at the same time every night will reinforce this habit and wake you without an alarm clock at the same time as well! Phase 6: Substitute half of every meal and snack with vegetables (anything plant-based). Phase 7: Minimize one of the big five weight gain culprits by 25%, then 50%, and finally 75% over two weeks. If weight loss begins, continue. If not, try a second item from the list until you’ve attempted them all. Personal Trainer Wisdom: Our bodies are equipped to handle quite a bit. Like the rest of nature, the human body has boundaries, too. The following items have been scientifically proven to cause weight gain, inflammation, and more. Determine your sensitivity to each of the items and figure out what you can truly get away with. Phase 8: If minimizing each of the weight gain culprits separately up to 75% hasn’t led to weight loss, it may be time to make a similar effort with 2 or 3 of your most common choices on this list. Phase 9: Try a perfect diet with all of the phases over two weeks. Phase 10: Discuss your efforts with your doctor and test for deficiencies, diseases, or disorders. Photo Credit: Deco Healthy Living .com-Will the inches drop off with the use of your fork and knife? While reading Tim Ferriss’ book Tribe of Mentors, I often find many useful insights to integrate into my life. None have been more valuable than these four quotes. Personal Trainer Wisdom: Live, give, and forgive are three simple words that have steered me away from too much ego, anger, and pain. Extending beyond my “ego” not only has enhanced my life with thought-provoking experiences but the intent of “giving” has led to a new purpose and foundation of empathy. Although it’s always a work in progress, forgiveness is also equally important and has been an extension of this new empathy (as well as acceptance). Personal Trainer Wisdom: A thorough dissection of the information I often seek out from the media reveals my tendency towards pundits that support my personal perspective. How can I become more enlightened if I don’t identify my tendency to focus on the familiar and examine multiple paths of thought? With a heightened state of awareness, I know I can identify these trends before I foster my typical narrow perspective. I realize that I don’t need to agree with all positions, I should respectfully consider all factual evidence to create a fair judgement (not an unsubstantiated opinion or the typical pundit rhetoric). Personal Trainer Wisdom: Life is a series of processes that often intertwine with many controlled and uncontrolled factors, as well as interesting coincidences. The results may become surprising outcomes. Despite any result, the process warrants an examination for the sake of replication or avoidance. It may help me help avoid many false positives. Personal Trainer Wisdom: When I blame, complain, and gossip, I now realize that I’m negatively spewing rhetoric beyond the basic awareness of a challenge or problem. I may still express disgust or distaste of an identified state of being or result. Anything beyond the initial reaction, though, I require myself to change or avoid it. My blaming, complaining, and gossiping are nothing but fruitless forms of disrespectful banter contributing to a negative atmosphere (even if it’s directed at something negative itself). Instead, I try to start from a place of compassion and empathy. Do you avoid cooking because of the prep time? Avoid no more. Here is the list of kitchen tools I use to speed up the cooking process. In many cases, the total time will decrease by 50 percent. Cook away, Chef!!!! Personal Trainer Wisdom: The Instant Pot is basically a crock pot with pressure cooker attributes. Like a Crock Pot, you can simply throw an array of ingredients into the pot and cook with little extra work. The big difference: The Instant Pot only takes a fraction of the cooking time. Your 8-hour Crock Pot simmer will turn into a 20-minute pressure-cooked phenomenon. Either method will save you time from constant stirring stoveside. You may use the Instant Pot to sautee onions and garlic prior to cooking your stew, soup, or chili as well (which also saves cleanup time-less dishes). Personal Trainer Wisdom: With 4 cutting options (thick slice, thin slice, julienne and waffle) and 4 adjustable thickness settings for each cutting option, you will save time perfecting your slice and adding more shape to your life! Personal Trainer Wisdom: You can core and section fruits in one swift motion (8 wedges all at the same time). Less mess and time. “But it only saves you 30-60 seconds, Michael,” you say. Tell that to my screaming 2-year old son, Preston…. Personal Trainer Wisdom: As described on Bed, Bath, & Beyond, “This salad spinner is so versatile as it expands for use as a large salad spinner and collapses in an instant for easy storage. Its high velocity pull-cord mechanism dries your fruits or veggies quickly and efficiently.” Sold! Not enough? I also use the spinner to evenly coat a dressing or citrus onto my veggies. Essentially, you’re spinning away the excess while coating each piece of nutritarian goodness. Perfection! Personal Trainer Wisdom: I typically avoided recipes that required pureeing because of the food processor cleanup. With the stick mixer, you can quickly and easily puree a soup in the same pot you cooked it in. It’s lightweight and a quick wash compared to the many parts of the food processor or blender. Personal Trainer Wisdom: This kale slicer is more of a kale destemmer than anything else. It makes pulling the leaves off the stem one easy swoop (a big convenience when using several stems in your recipe). Personal Trainer Wisdom: Many of my personal training clients will avoid cooking because of the preparation (especially the chopping). Although you need to slice an apple, onion, or green pepper in thirds, this chopper will make the remainder of your chop a breeze. Simply place the thick slices under the stainless steel blades and press down. Easy to dump into your dish and easy to clean. 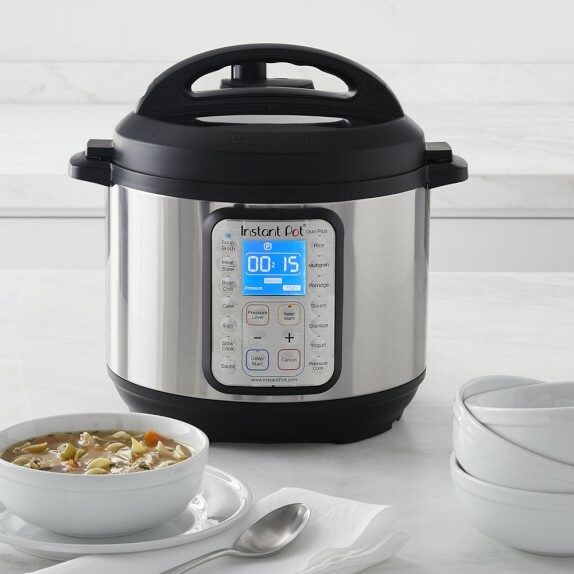 Photo 1: williams-sonoma .com–Life may never be the same with the Instantpot.